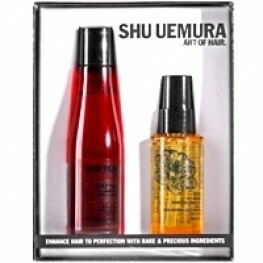 Adds Vibrancy To Hair Color While Bringing Optimal Shine To The Fiber And Creating A Glazed Touch. Musk Rose Oil Is Well Known To Boost Radiance, Very Rich In Fatty Acids And Vitamin A, Known For Its Anti-oxidising And Radiance Protecting Properties. The Musk Rose Tree Originated In Asia In The 16th Century. After Spreading Through Europe, It Was Introduced To South America. Today It Is Mainly Found Growing In Chile. The Oil Is Extracted From The Seeds Of The Musk Rose For Its Healing Properties. It Is Also Especially Effective As A Treatment For Sunburn. 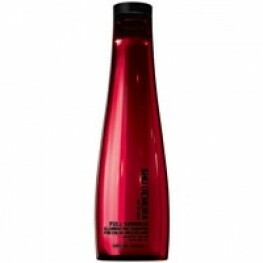 Full Shimmer For Color-treated Hair. Target Formulated To Meet The Essential Needs Of Col..
Full Shimmer For Color-treated Hair. Target Formulated To Meet The Essential Needs Of Co..